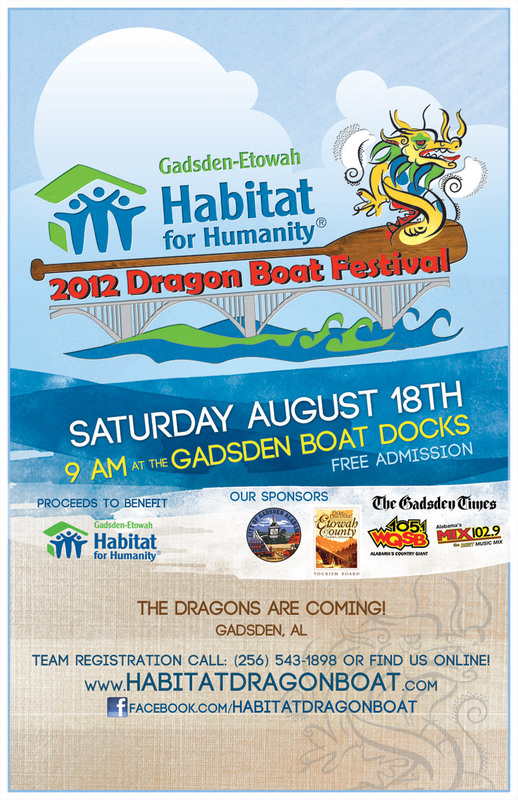 This was a poster created for the local Dragon Boat Festival to advertise their event. I wanted the overall design to be colorful, vibrant, and "eye-catching", but also wanted to incorporate elements that were reminiscent of an ink wash painting to reflect the rich East Asian design that the Dragon Boats are so famous for. 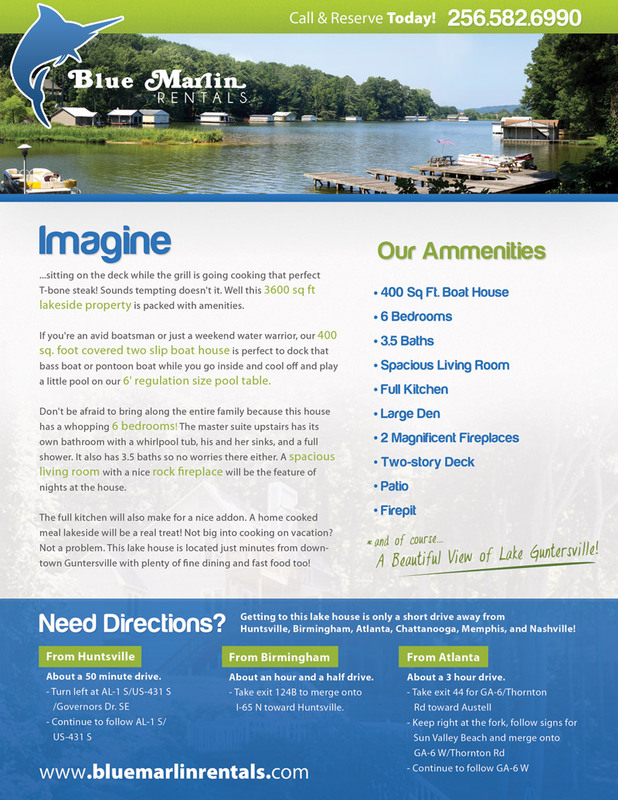 This was a flyer designed for Blue Marlin Rentals that they mailed, e-mailed, and handed out to advertise their lakefront rental properties. 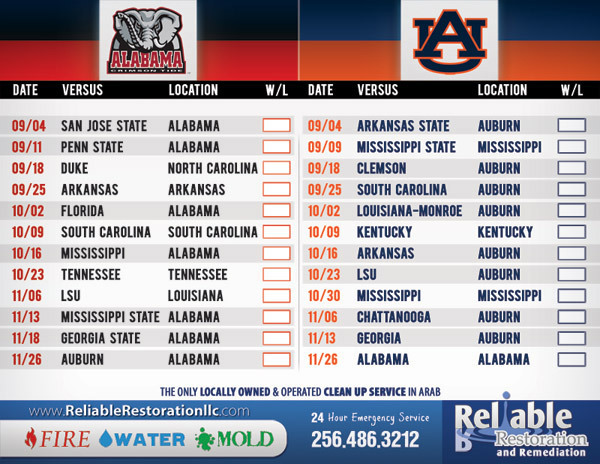 This is a magnet design that Reliable Restoration used to promote their services. The design was not only for advertising, but was utilitarian as well, since it doubled as a football score keeper.